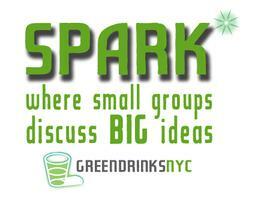 Join Green Drinks NYC on January 22, 2013 for our SPARK Speaker Series on Resilient Design in our fast changing "Post Sandy" world featuring Alex Wilson. Alex's SPARK will focus on the Resilient Design Institute (RDI) which he recently founded. RDI advances practical solutions that can be employed by communities, businesses and individuals to adapt and thrive amid the accelerating social, ecological and climatological change being experienced today. Featuring: Alex Wilson, Founder, BuildingGreen, Inc. and Executive Editor, Environmental Building News & GreenSpec. He has been at the forefront of green building and renewable energy for over three decades. Alex served on the board of directors of the U.S. Green Building Council for five years and was a founding member of the USGBC Research Committee. Alex was recently invited to serve on the new Building Resiliency Task Force which was created at the request of New York City Council Speaker Christine Quinn and Mayor Bloomberg and is being facilitated by Urban Green for the City of New York. The Task Force is taking an in-depth look at how to better prepare our buildings for future extreme weather events and infrastructure failures. Hosted by Paul E McGinniss of The New York Green Advocate and featured contributor to EcoWatch.